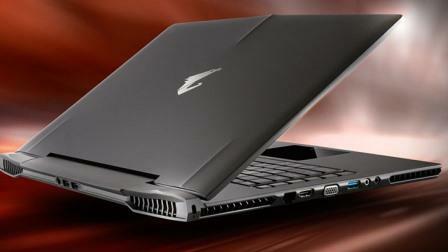 Gigabyte: The Thinnest Laptop GigaByte Aorus X7 for Games in the World: Laptop computers are increasingly in vogue , following the need for users to maintain the necessary to play the latest games at the same time continue to have the mobility that a laptop provides only specifications. 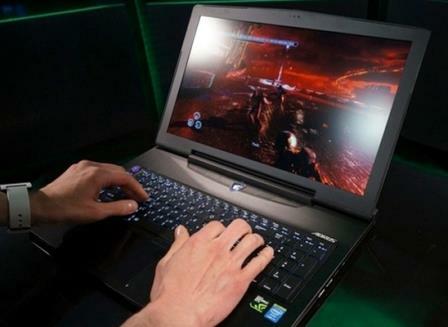 However , there are two common features in almost all laptops that are designed for the gaming aspect : Specifications top notch and extremely high dimensions. During CES 2014, Gigabyte showcased a new alternative , which highlighted exactly the loss of one of these characteristics , presenting as extremely potent and very small size . Although their total weight reaches nearly 3 kilograms, the new X7 Aorus when it is closed with the monitor maintains an impressive 23mm thick , almost to the same category as Apple’s MacBook Air. In the case of worrying about one of the common problems of laptops designed for gamers ( your heating ) , the Aorus X7 comes with 5 heat pipes , four fans , and fans to double your cooling system . After so many high-end features and even innovative , definitely not the surprise came when he was introduced to the market price , where the regular edition will cost $ 2,099 ( approx. 1,545 euros ) and the flagship edition will reach $ 2,799 ( approx. EUR 2,060 ).